Sunday Mercury columnist George Tyndale sparked outrage with his controversial comment piece on homeless banker Daniel Hackett. Sunday Mercury columnist George Tyndale sparked outrage his controversial comment piece on homeless banker Daniel Hackett. The Labour leader has interesting ideas to share about business, jobs and public services – if only he’d talk about them a bit more. Opinion: Is the economy heading for another crash? IF anything illustrates the lack of will and desire by West Midlands Police to further investigate the Birmingham pub bombings it is our exclusive interview with Kieran Conway . Opinion: Why are more than 700 families with children homeless in Birmingham? With boundary reviews, devolution and the Greater Birmingham project under way any decision to break up Birmingham City Council needs to be taken now. Labour councillors are treating leadership election like a private matter when it has far reaching consequences for the whole city. Chancellor George Osborne has made a terrible mistake cutting tax credits – and the longer he waits to fix it, the worse it will be. Birmingham City Council leadership: Where is the passion, the vision? Waheed Saleem, former chair of the Lunar Society, says a visible mayor, accountable to the city region, is needed but candidates should come from the widest possible pool and todays political leaders need to engage the public. Comment: I love watching football – but why can’t it be more like rugby? Why our national sport could take lessons from a rugby crowd in how to enjoy a match. An official inquiry into the Iraq war is taking too long. Which Labour leadership candidate has the best slogan? Do you want to “be part” of change, or maybe you fancy a “fresh start”? 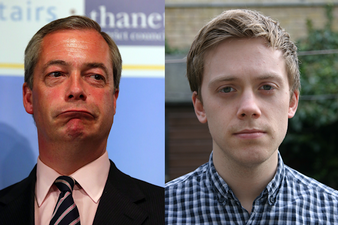 Whatever your political leanings, there’s a Labour leadership candidate for you. Did British secret service protect Birmingham pub bombers? Can David Cameron’s free childcare plans really work? It was the news that literally had me jumping for joy. Who will be in Birmingham’s next Labour council cabinet?